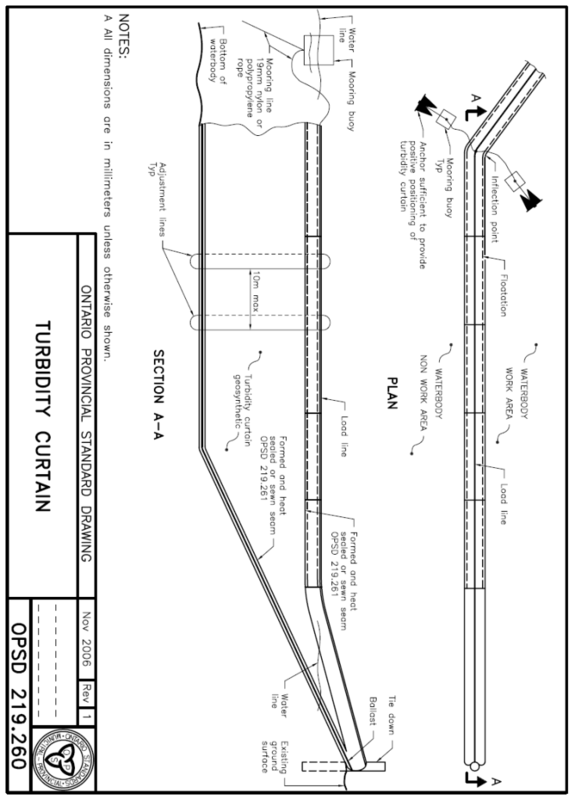 Turbidity curtains are designed to contain and deflect sediment within a designated area when nearby land disruption, dredging or construction takes place. Draped in a body of water, the curtain prevents silt and sediment from escaping the job site. Silt curtains have a sewn sleeve along the top (in order to contain the floatation device and load line) and a sewn pocket along the bottom edge to contain the ballast. Our curtains are made from a high strength woven geotextile and are fabricated to any size that will fit your specific application.